A nutrient cycle is nature's way of ensuring life can carry on on this closed system some people call spaceship earth. Biogeochemical cycles are complex ways that chemical elements and compounds move between various spheres such as the atmosphere, the soils or lithosphere, living organisms or the biosphere and oceans, lakes etc. or the hydrosphere. 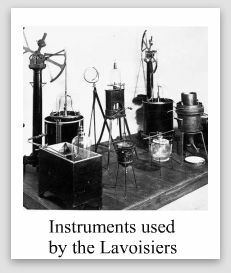 In the 17th century Antoine Lavoisier and his wife Marie Anne conducted a number of experiments that proved matter can neither be created nor destroyed and that nature is essentially a closed system. The natural extrapolation of the Law of Conservation of Mass is that nature is a closed system. In essence this means that all the elements we rely on to support life on the planet are here and have been here since the Big Bang. There isn't any more being shipped to the planet - with the exception of the odd meteor or UFO that crashes here. In order for life to continue, each cycle must remain in motion. Once a living thing has finished using a nutrient and either excretes it or drops dead, the nutrient must cycle back for some other living thing to use it. About 95% of the total mass of all living things are made up of these six elements: hydrogen, oxygen, carbon, nitrogen, phosphorus and sulfur. The nutrient cycles work to keep these elements in circulation. A cool way to look at it is that you are borrowing the molecules that make up your body. When you're done you have to give them back. The water cycle is mostly responsible for the movement of hydrogen and oxygen. Each of the other four elements have their own cycle: the carbon cycle, the sulfur cycle, the phosphorus cycle and the nitrogen cycle. Each cycle has a complex variety of pathways it can take to keep the nutrient moving through the system. Each biogeochemical cycle is of course very important, but for us, as gardeners and composters, the Nitrogen cycle and Phosphorus cycle are the most critical. This is because the most common limiting factors for growth are inadequate nitrogen in a plant usable form, and inaccessible phosphorus. If you look at the way we've been throwing things out in recent years you can see that we are interrupting the nutrient cycles. We throw garbage, which is naturally full of molecules, into plastic bags and then bury the bags in sanitary landfills. This takes those molecules out of the nutrient cycle indefinitely. Composting as much as possible keeps those important nutrients in circulation. It serves to enhance the nutrient or biogeochemical cycle rather than starving it. Yet another reason to compost from the big picture viewpoint.